Wahdat-e-Islami party leader Mohammad Mohaqiq recently remarked that the idea of establishing an interim government is the best possible option given the current scenario. Mohaqiq was one of the participating Afghan politicians who held two-day talks with the Taliban representatives in Moscow in an unofficial “Intra-Afghan” meet format. Mohaqiq’s remarks come contrary to the views of President Ghani, who had referred to the proposal of interim government “ridiculous”. Mohaqiq was referring to President Ashraf Ghani who has earlier reiterated his opinion on elections and said that the government is committed to carrying the torch of democracy, shunning any possibility of an interim government being created under his leadership. system and government in Afghanistan at the Moscow meeting. “We also did not suggest having Islamic Republic government, but we hope to reach into an agreement in the future in this regard,” he said. 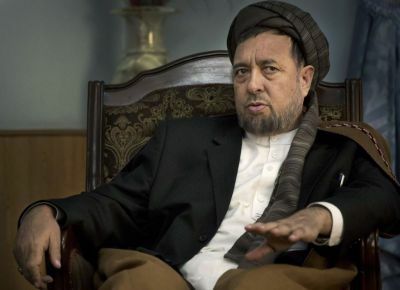 Mohaqiq was recently sacked as the second deputy to Chief Executive of the National Unity Government by President Ghani, and he asserted that according to the political agreement, he will remain in his position and will continue to perform his duties.